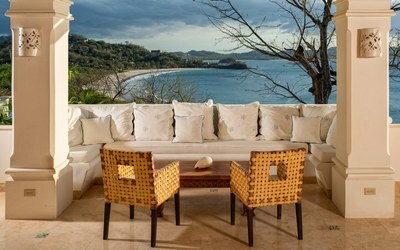 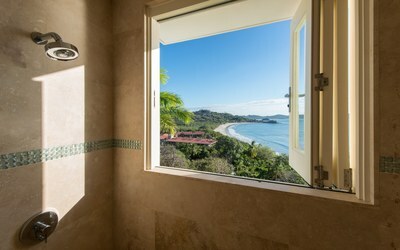 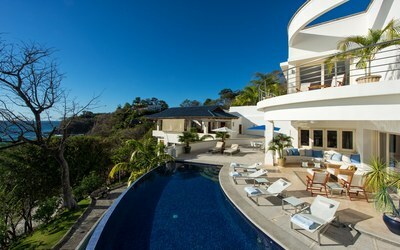 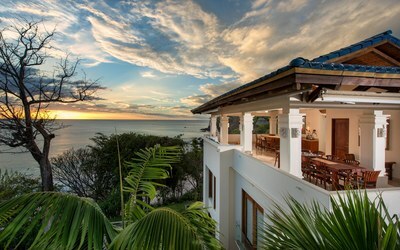 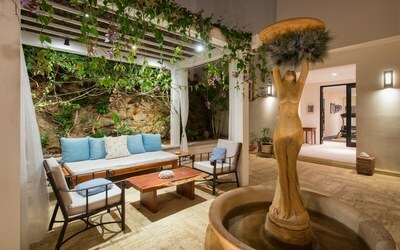 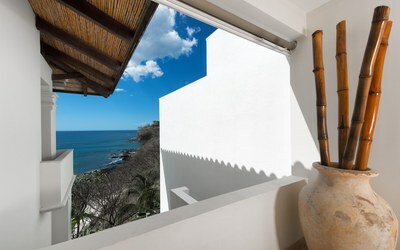 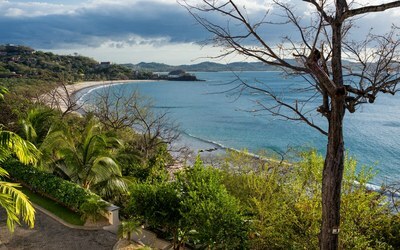 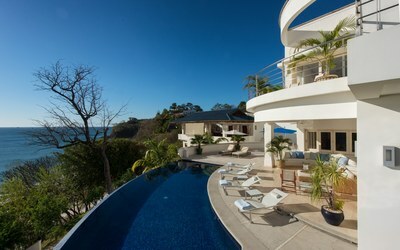 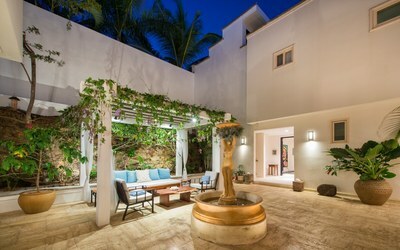 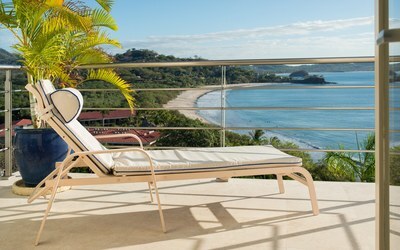 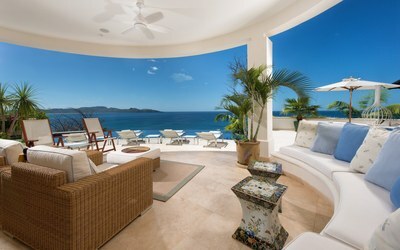 Maximum Guests: 10 persons -- Minimum Stay: 1 Week -- The infinity pool melds into the bright blue Pacific ocean and is surrounded by the Guest House, or Casita, as well as the main house which features 3 bedrooms each with in suite bath and a lovely powder room just off the entrance. 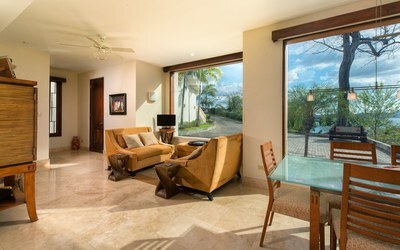 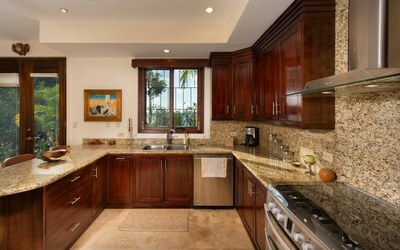 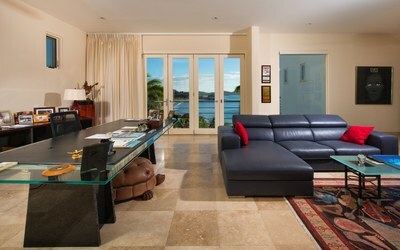 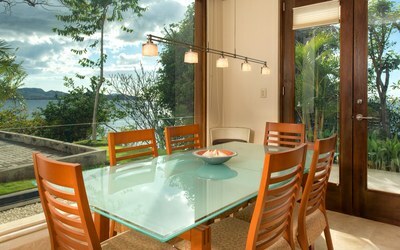 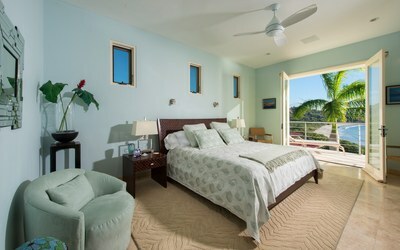 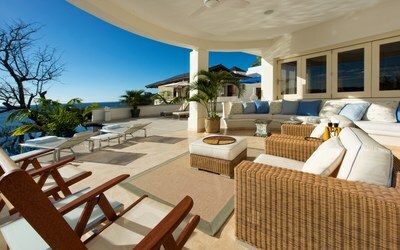 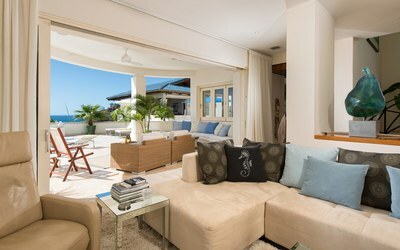 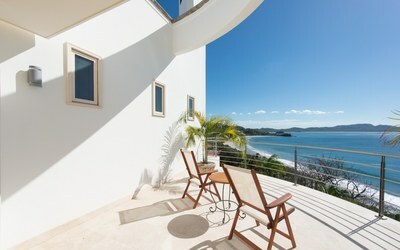 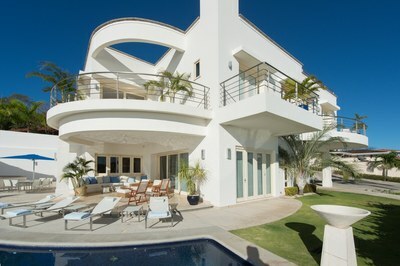 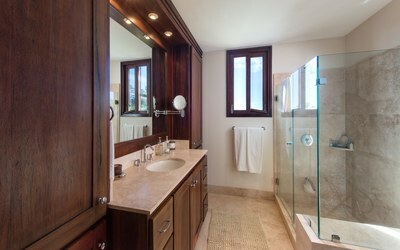 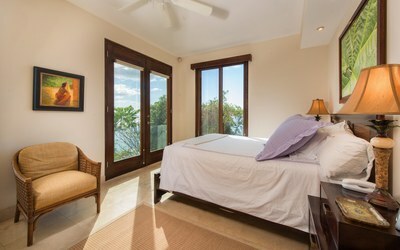 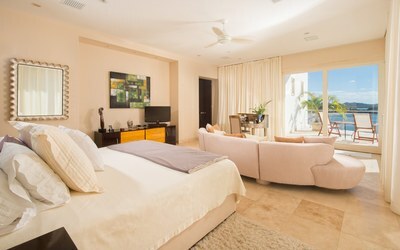 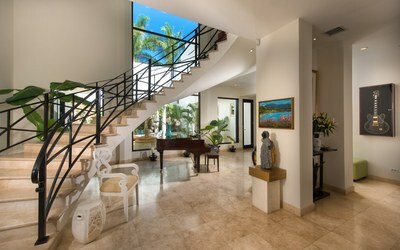 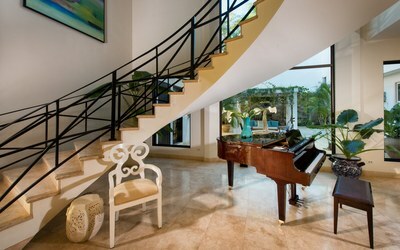 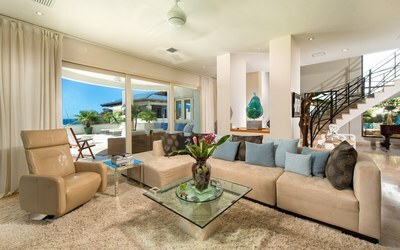 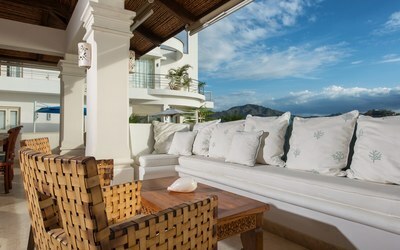 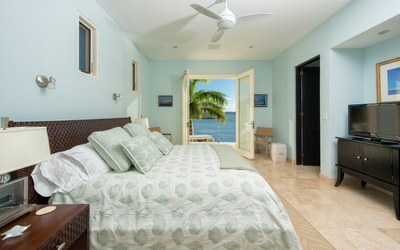 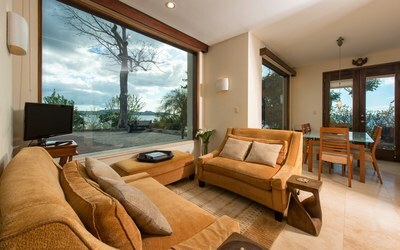 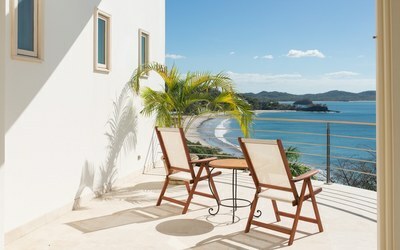 All bedrooms, each of the full baths and all common areas open directly to the sea. 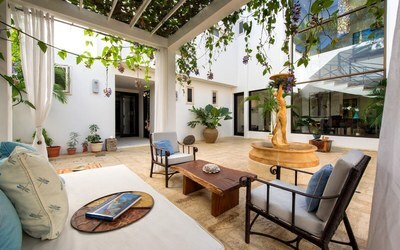 The dramatic indoor/outdoor living room takes you to a whole new level of sophisticated relaxation and the main house's elevator allows for easy access to all floors. 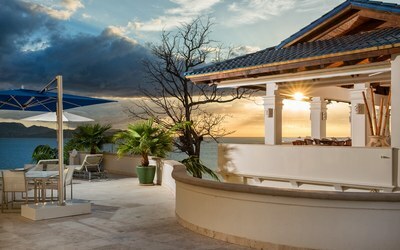 Let your cares drift away with the setting sun while you pamper yourself with our full staff that includes maid service Monday through Saturday, pool and gardening service. 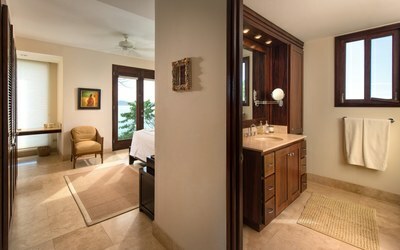 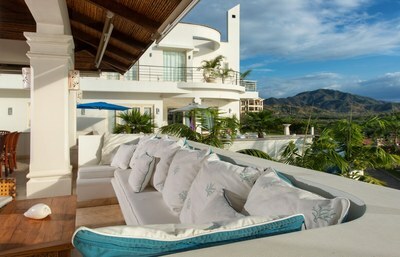 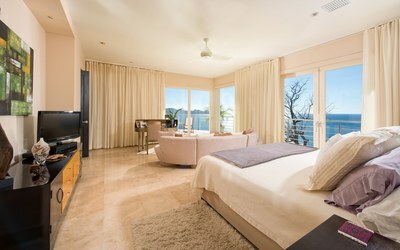 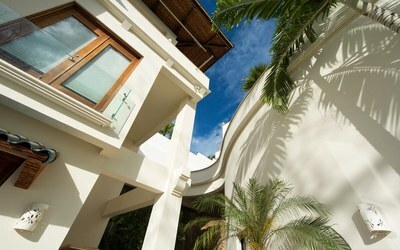 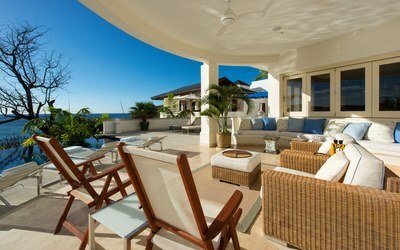 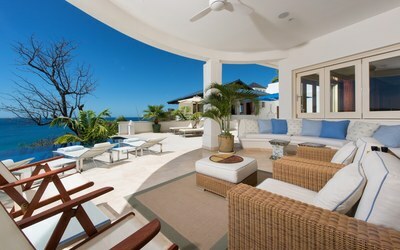 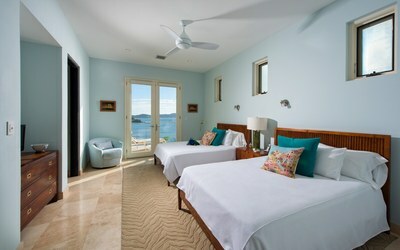 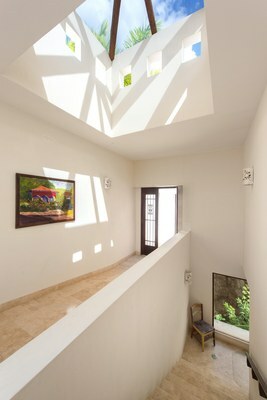 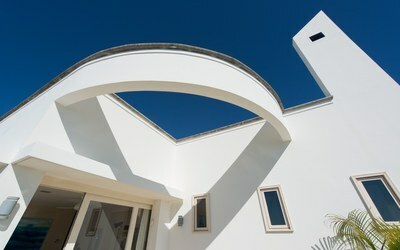 The Guest House includes 2 Bedrooms, each with its own en-suite bath, and French Doors that open to the sea views. 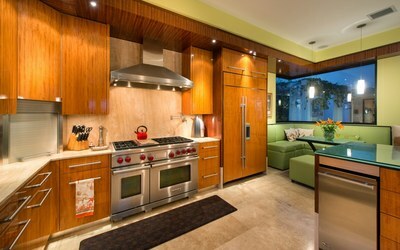 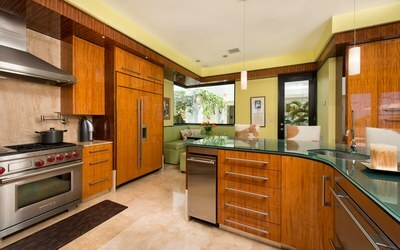 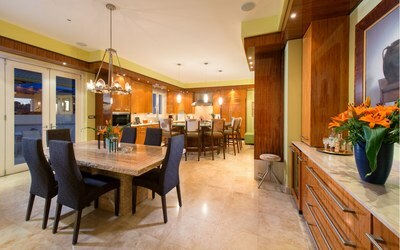 There is a Living Room, Dining Area with Patio, a full Kitchen and lovely Powder Room on the ground level. 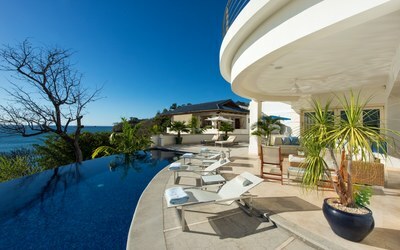 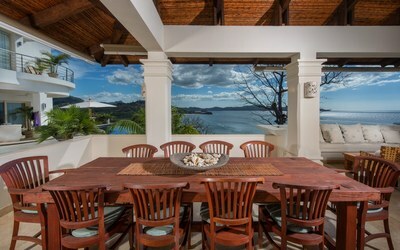 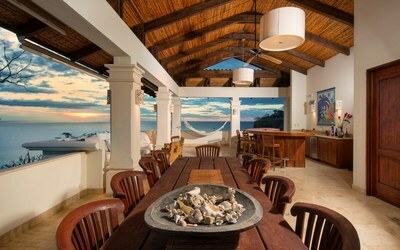 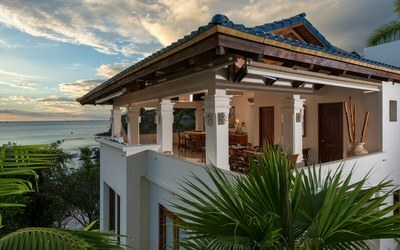 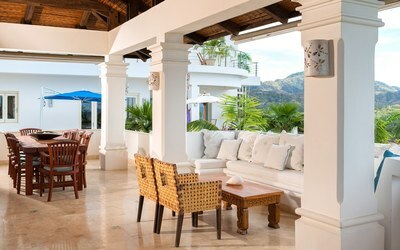 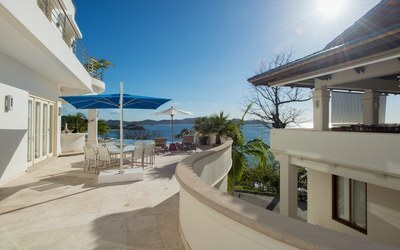 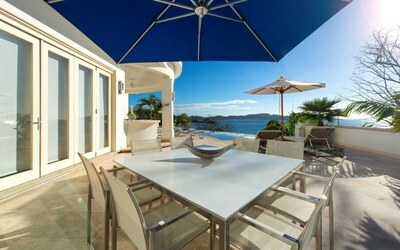 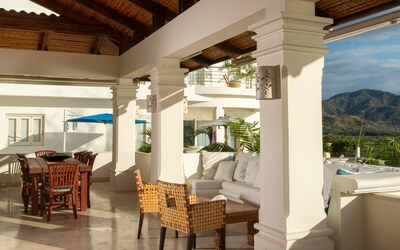 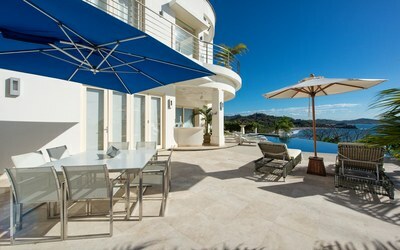 Plus an incredible Dining Pavilion on the 3rd Floor that connects to the Main Deck and Pool Area of the Main House.